Prague half marathon is always known to produce fast times and today (6th of April 2019) won’t be an exception. Leading the men’s elite start list is Stephen Kiprop, who holds the world leading time over the distance this year. He is the defending champion of the Mattoni Ústí nad Labem Half Marathon 2018 and winner of the 2019 RAK Half in 58:42. His challengers will include the Defending Champion and winner of the 2017 Birell Prague Grand Prix 10km in 27:10, Bernard Kimeli. But any one of a dozen others could step up to the top of the podium. Others to watch include Bernard Kimeli, Jorum Okombo and Mangata Ndiwa, among others. The race will also feature two of the fastest women in history, the Kenyan Fancy Chemutai (1:04:52 number 2 all-time) and Caroline Kipkirui, a Kenyan now competing for Kazakhstan (1:05:07 number 6). 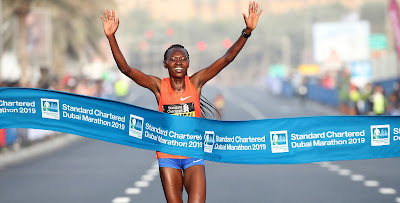 Other interesting challengers in the women’s race include the Isreali Sportswoman of the Year 2018, Lonah Chemtai Salpeter - 2018 European Champion at 10.000m and national record holder in the marathon. She improved her half marathon PB to 1:06:40 while winning the Huawei RomaOstia Half on March 10th.